diversity, and be more engaged in it. As the above quote mentioned, there is no doubt that today's world is a global playing field where issues such as politics, national security, economic development, environmental rights, and human rights are all connected in our everyday lives through business, government, and individuals from around the world. It is now our job to prepare students with the knowledge and skills needed for a 21st century workplace as they become citizens, workers, and leaders in a global economy. Our students are simply a mix of their encounters from home and what they see on the news. I believe we are the ones who must break down the walls of ignorance for our students and build the bridges for opportunities for them to connect with the world in order to build trust, empathy, and global understanding. Therefore, it is vital that we as teachers assess the manner in which we educate our students and the content of our teachings to reflect this new reality. There are a ample resources, such as rubrics and checklists, on the web not only to help you assess your lessons for global competence, but also to help assess your students' work and school environments as a whole. 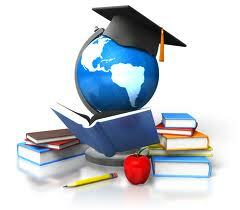 My favorite assessment tool and a great starting place is the "Global Education Checklist". Fred Czarra explains in his “Global Education Checklist” that the world can be divided into three themes: global issues, global culture, and global connections. Czarra believes that these three themes span across all academic disciplines and should be considered in relation to how they affect the daily lives of students. His checklist then acts as a self-assessment tool for one to measure their degree of success in those three domains on a classroom, school, district, and state basis. Czarra also thinks that the education should span across all disciplines, reflecting the students' own personal interests, fostering 21st century skills such as analysis, interpretation, persuasion,and research/investigation. He also emphasizes that, "Students should be encouraged to be actively involved at the local, state, and national levels practicing their civic duty through relationships with our economic, social and political systems." This checklist offers a simple format with helpful categories and general questions to cover all of your bases. Oxfam’s Global Citizen Curriculum Framework - A framework for understand and assessig global citizenship in a clear and concise format. Pgs. 5-7. Duke University Global Awareness Rubric - Assesses the global awareness of your students through a continuum of progress by looking at their views of technology, organizations involved in, and their participation in a global society through the interactions with other cultures or people. World Savvy Rubrics - World Savvy has a variety of rubrics that they use in competitions to evaluate projects, presentations and websites. These could also be adapted to your own classroom and projects. They offer a performance, website, exhibit, and documentary rubric.